Please select EXPRESS SHIPPING SERVICE ONLY if your basket contains aerosol, flammable products, heavy products like sugar paste or large bulky items. Royal Mail will not carry flammables or heavy orders and will show excess shipping prices to ensure you do not select the service. ParcelForce & RoyalMail delivery information, please ensure to select the right service according to your delivery postcode for your order. Delays will occur if the wrong service is selected. Click on the zones for more information. 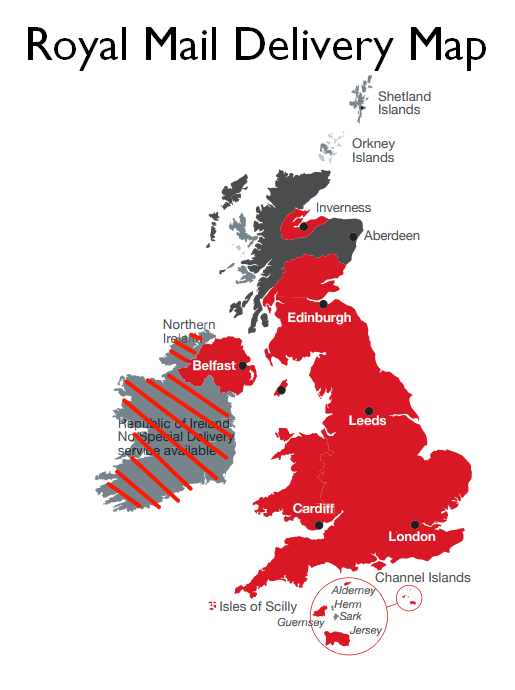 Zone 1 - England, Wales, parts of Scotland. Zone 2 - Highland and islands of Scotland. 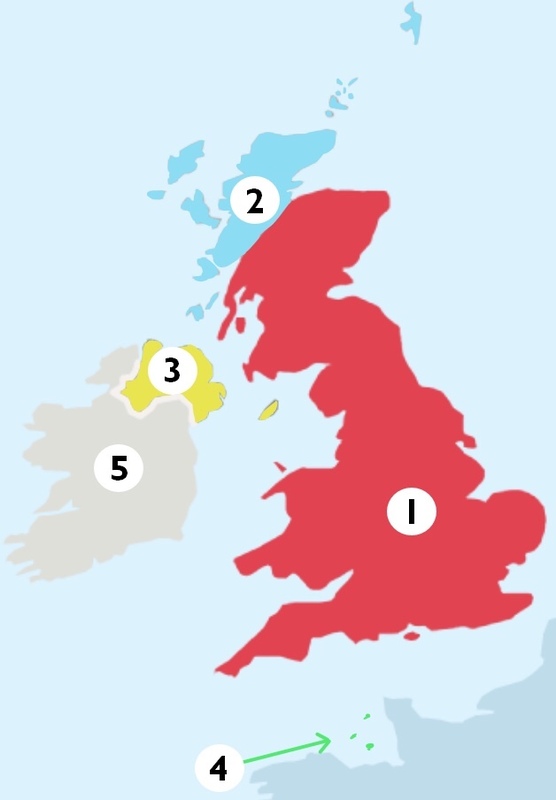 Zone 3 - Northern Ireland, Isle of Man, Isles of Scillly. Zone 4 - Channel Islands. Zone 5 - Republic of Ireland. Refer to the map on the left for areas covered by these services. THEY WILL NOT CARRY AEROSOLS. Zone 4 & Zone 5. Refer to map on the left for areas covered. AEROSOLS CAN ONLY BE SHIPPED ZONE 1 & 2. Any Parcel force express 24 delivery option selected on a Friday would be delivered on a Monday. There are no Saturday courier deliveries options available.